Hyderabad: An inter-state gang of poachers was nabbed by the Special Operations Team of Malkajgiri, Rachakonda police and one leapord skin along with four claws were seized from them. The team acting on a tip off apprehended four persons who along with others were into poaching of the big cats by monitoring their tracks in the forest areas of Sirpur Kagaznagar, Tadoba in Maharashtra, Chattisgarh and forest border areas of Odisha and Andhra Pradesh. 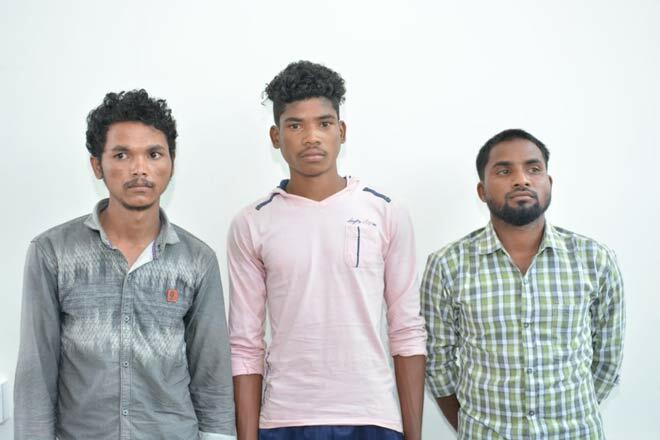 Of the arrested, three suspects – B.Masti (23), Jagannath Sisa (19) and Bali Pangi (26), hail from Odisha and fourth one Nagothi Banu, is a resident of Madhurawada, Visakhapatnam. According to Rachakonda police, the suspects had enrolled the services of some others to form a group of ten members and they would indulge in poaching of the feline laying wire snares in the forest areas of different States. 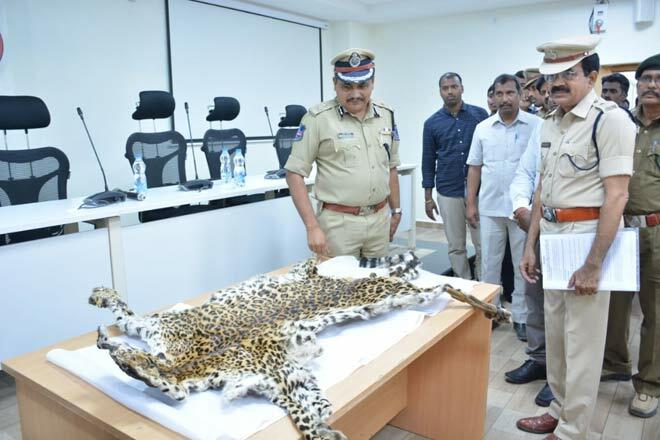 Once trapping a big cat, the professional poachers would skin the animal without damaging the skin as the huge demand for skin and claws in the black market, Rachakonda Police Commissioner, Mahesh M Bhagwat told presspersons on Monday. Leopard skin would fetch them Rs.5 lakh or more while given it’s demand, a tiger hide got them anywhere between Rs 20 lakh to Rs 25 lakh. On questioning, the suspects informed that the skin in their possession was of a male leopard, aged about two years, that they had killed three months back after which they peeled the skin off and dried it. 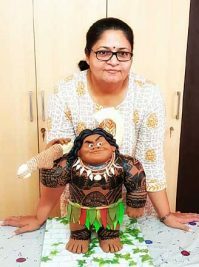 They were in search of prospective customers willing to offer Rs 5 to Rs 10 lakhs for it and came to Hyderabad to tap some known sources. 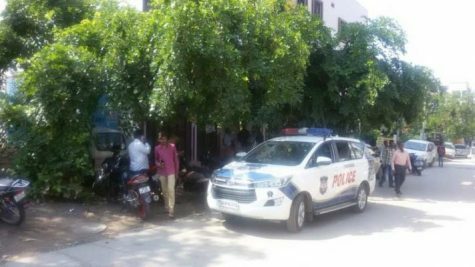 Hiding the skin in the car dickey, they checked into Mayur Hotel in LB Nagar and were waiting for customers when the SOT apprehended them. Along with the seized property, they were handed over to LB Nagar polce for further investigation. A case under the provisions of Wildlife (Protection) Act 1972 was registered.